Economy coffee pot made from 18/0 stainless steel with a polished finish. 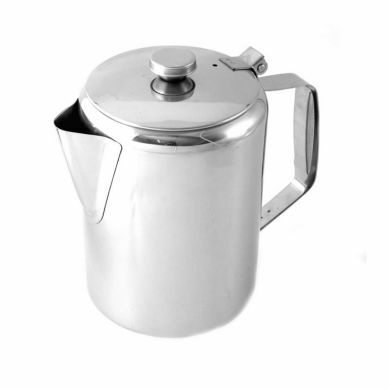 The lid of the coffee pot is attached to the handle with a welded clip for easy opening and drying purposes. The pot is dishwasher safe.